Originally published by the official Facebook page for the People’s Protection Units (YPG). The people of Manchester, London, Paris, Düsseldorf, Sydney and any other cities where the citizens gathered today (March 11, EIE)to condemn the war crimes perpetuated by the Turkish state. 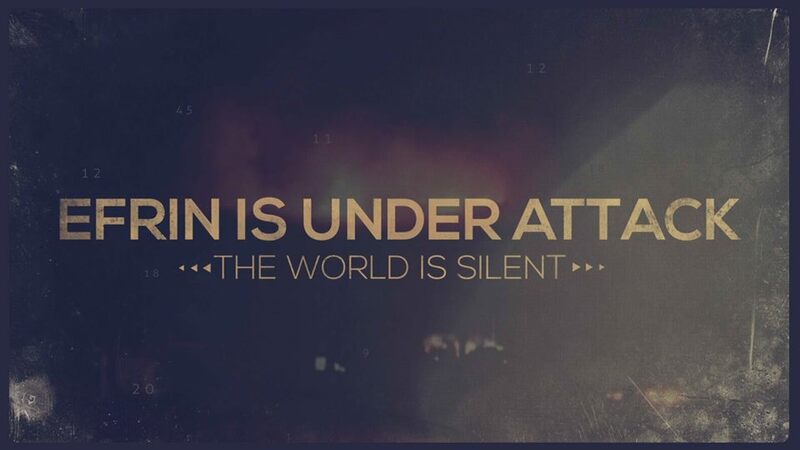 While the people of the Afrin canton continue to lose their lives in bombings and more civilian children, women and men die each day, the world remains silent. Already displaced people are displaced once again, and millions are trapped in the city, facing a massacre as food and medical supplies are critically limited, if an intervention is not made imminently. The deafening silence exhibited by numerous governments surrounding the war crimes currently happening in Afrin is no less dangerous than the bombings and shelling endured by the local population on a daily basis. Not long ago, the YPG/J was recognized by the world as one of the determining factors in defeating ISIS – one of the greatest threats to civilization ever to occur in modern times. Those same people, the fighters within the ranks of the YPG/J, have now again become abandoned as the public focus is shifted away from the threat that the ‘Operation Olive Branch’ represents to the achievements of this year’s long struggle to bring about democracy, women’s liberation and above all, equality for all the constituents of the Democratic Federation of Northern Syria. For this reason, the actions undertaken by the people of Europe are of utmost importance. Strength lies in solidarity, and international solidarity is what is needed to save Afrin from destruction. By organizing demonstrations and other actions in order to bring attention to their disagreement with what can be regarded as a genocide at the hands of Turkey, the international community holds a great degree of power to pressure and influence the decisions of their respective governments to take direct action and help the people of Afrin. Not so long ago, during the siege of Kobane, the international community as well organized a series of protests and other actions (publishing news, spreading information on social media, or even just creating posters) in order to inform the world about the monstrous terror of the Islamic State and a handful of revolutionary fighters trying to counter this barbaric force. Without the presence of the international community and its support which ultimately lead to the world recognizing the Rojava revolution, the outcome might not have been the same. The international community holds the same significance today. The international supporters are thanked and encouraged to realize the importance of the demonstrations they took part in on this day. Speak up for the people of Afrin!